Using Keywords Properly on YouTube: Video Marketing Help! Successful video marketing on YouTube takes every Internet marketing skill you’ve got. An often neglected aspect of it is keyword research and use. Your SEO on YouTube will go a long way towards your content discovery goals, helping you get views, subscribers, and develop lifelong fans. Let’s learn about important keyword tactics, as well as what data points YouTube uses to rank videos. Your videos will be climbing up the search results in no time at all! For many channels out there, keyword planning is the absolute last thing on their list. They just want to create funny/interesting/outrageous videos and …let things just happen. But that’s the problem. Very, very rarely do things just happen on YouTube. You have to put in work on the digital side, and having tools for keyword research is certainly an aspect of this. Every single video in these results is 100% committed to the keywords I searched for. Why? Because that’s EXACTLY what their videos are about. It wouldn’t have done them any good to have instead used the more popular keyword “Air Jordan review.” They would have alienated their potential viewers, possibly souring how those people view their channel forever. Think long-term about getting YouTube subscribers over short-term goals of getting into the wrong search results. A good keyword planner is going to be worth its weight in gold to you as you work to improve your video SEO. It is the first thing you should think about as you start to develop your ideas, and should be part of the plan before you even shoot your script. That’s absolutely textbook tag usage for this video. He tags a few broad synonyms, himself and his parent video channel (Wear Testers), and the keywords that he needs to focus on to draw in the right viewers. First, what is Watch Time? Well, this may be YouTube’s most important ranking factor. To summarize it, the longer people watch your videos on average, the better they rank in search results. YouTube wants to show videos to YouTube users that are good. Whether or not people watch the video is a key indicator to them if the video is good. How this relates to your keywords is similar to something I was talking about above. 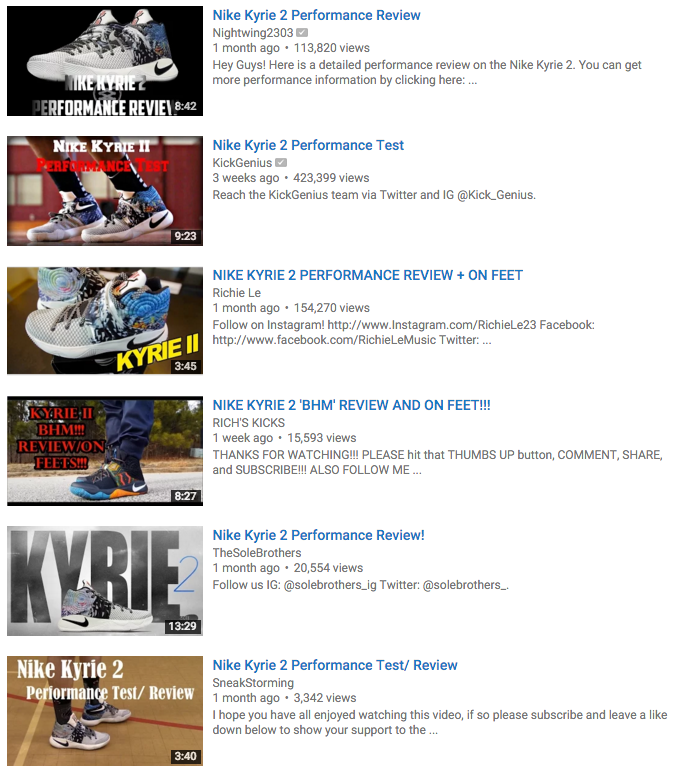 I searched for “Nike Kyrie 2 review” and saw results which met that need. 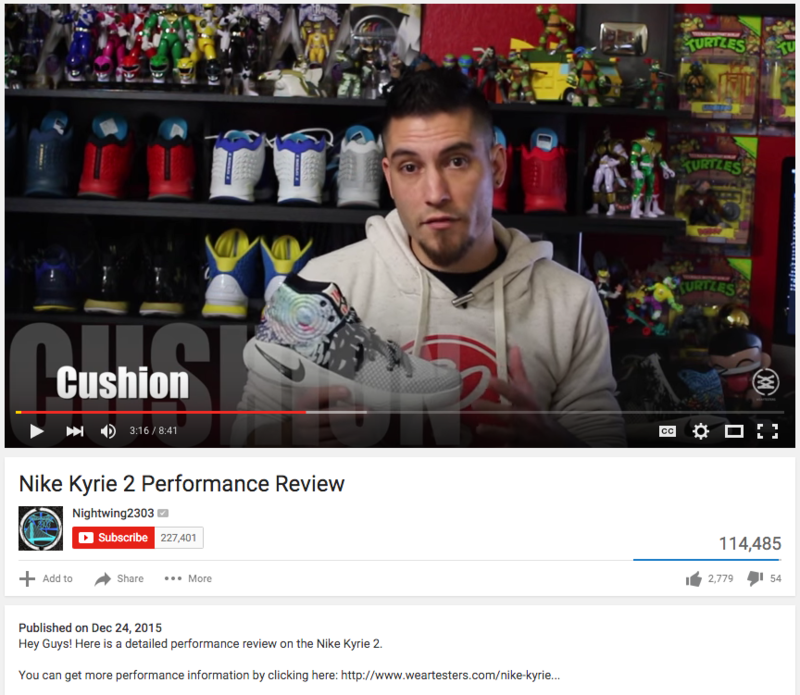 If I had seen a video that was actually a Nike Kyrie 1 review, and clicked on it without knowing, I would have immediately stopped watching. This would kill the Watch Time for the video, and YouTube would stop showing it for those keywords. Someone creates a video with good SEO and keywords, but bad content. People find it in search results and click it. The video isn’t good, they leave to watch something else. They may even return to the search rankings again, letting YouTube know even clearer that the video failed. The video with bad content, but good SEO, will start to fall down the rankings. Watch Time is an important ranking factor which you must build into your keywords. It is one of the main reasons why it’s so important to use good keywords, and to explain your video accurately and quickly in the first sentence of your video description. Contact websites which are related to your video content. A video about sneakers is going to be better on a website about sneakers, clothes, or fashion. A video about sneakers will see little benefit from being on a website about shark cage diving. This is all about having pages which relate to your keywords. The amount of views that your video gets from embeds is also important. If it just sits there and no one ever watches it, this shows YouTube that it wasn’t a good embed. This lessens the impact for your keywords. 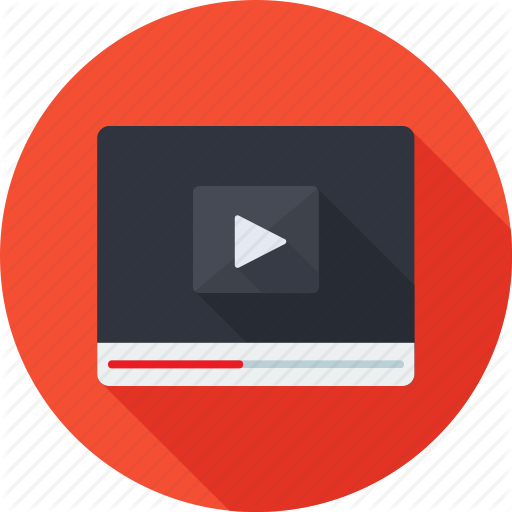 Use a strong call to action such as “Watch this video on (keyword use) below to learn more!” You need to drive people to click that watch button at every opportunity, and you need your keywords for the video nearby. If you’ve read this far you should know by now that your keywords tie into every aspect of your video. You’ll also note that your video marketing ties into every aspect of your Internet marketing. Everything starts with proper keyword research and filters down from there, get it right before you ever get in front of a camera! Matthew is the social media marketing writer on Devumi.com. You can learn more about Devumi by visiting his blog every Friday for his latest posts about all things video marketing and social media. For your Twittering needs, check out @Devumi for updates all day long on the latest Internet marketing developments.